(Bloomberg) -- The drama surrounding fallen auto executive Carlos Ghosn erupted again, with Japanese prosecutors rearresting him on fresh allegations that he used millions of dollars from Nissan Motor Co. for his own purposes. Authorities showed up at Ghosn’s Tokyo apartment shortly before 6 a.m. on Thursday to detain him on suspicion of aggravated breach of trust, using company money funneled through an intermediary for personal purposes, prosecutors said in a statement. They’re the most serious charges yet against Ghosn, who had been free on bail for less than a month. Ghosn was arrested because of the risk of flight and destruction of evidence, Shin Kukimoto, deputy chief prosecutor at the Tokyo District Public Prosecutors Office, said at a briefing. 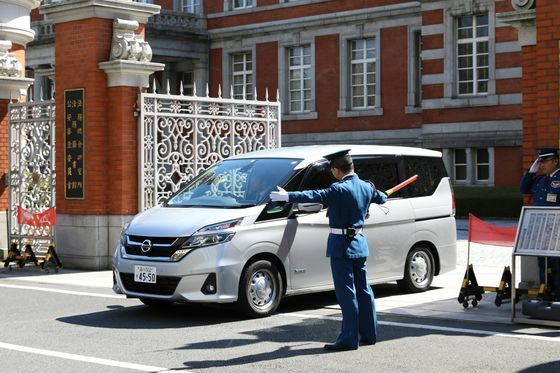 Ghosn was released on March 6 on bail of 1 billion yen ($9 million) and on condition that he remain in Japan and be monitored. The arrest happened a day after the former chairman of Nissan, Renault SA and Mitsubishi Motors Corp. announced he would hold a tell-all press conference next week. Renault and Nissan uncovered payments made under Ghosn that allegedly went toward corporate jets, a yacht and his son’s startup, leading the French carmaker to alert authorities about potential wrongdoing, people familiar with the matter have said. 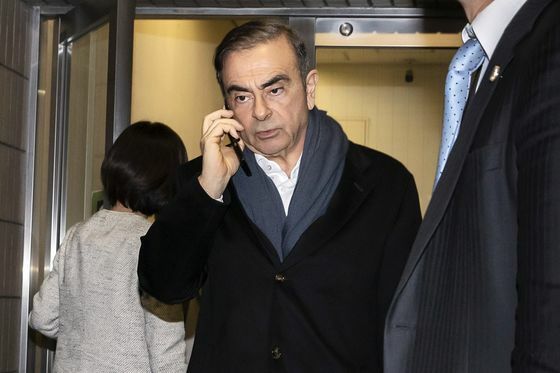 Prosecutors took Ghosn’s phone, notebooks and other items in his possession as evidence, as well as his wife’s phone and passport, according his lawyer, Junichiro Hironaka. The rearrest was “extremely inappropriate” and designed to put pressure on his client, the attorney said, adding that prosecutors will probably seek to detain him longer. On Wednesday, Renault said Ghosn had made questionable payments to a distributor in the Middle East and an outside lawyer. Some expenses “involve questionable and concealed practices and violations of the group’s ethical principles,” the French carmaker said. Ghosn, who was arrested Nov. 19 and jailed for more than 100 days, has vigorously denied accusations of transferring personal trading losses to the automaker and under-reporting his income. He was arrested just as he was preparing to tell his side of the story. The former auto executive had tweeted Wednesday that he planned to hold a news conference on April 11 to “tell the truth” about accusations against him. 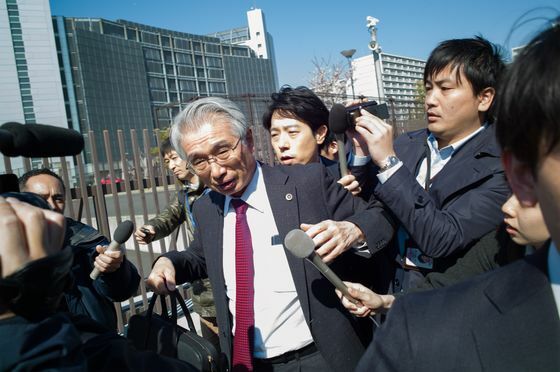 Anticipating such a move, Ghosn prepared a video statement, which will be released at some point, his lawyer Hironaka said. The Oman-related transactions were revealed in probes and amounted to millions of euros to companies in Oman and Lebanon that may have then been used for the personal benefit of Ghosn and his family, said the people, who asked not to be identified because the details aren’t public. Japanese prosecutors accused Ghosn of taking $15 million in three incidents beginning in 2015. The payments in Oman were to Suhail Bahwan Automobiles LLC, which is Nissan’s exclusive distributor in the sultanate, people with knowledge of the matter have said. The automaker first flagged the payments to Renault along with discounts on vehicles to Oman dealerships that the Japanese company suspected as being inflated, according to one of the people. Other expenses of several million euros by RNBV, the Amsterdam-based company overseeing a partnership with Nissan, also raise concerns, Renault said. The latest findings may lead to legal action in France, after earlier transactions were brought to authorities, the company added. Hironaka said he hasn’t discussed the reported Oman payments with his client, adding that he thought they were related to Thursday’s arrest. The November arrest of the car titan destabilized a three-way alliance between Nissan, Renault and Mitsubishi. Then last month, the automakers announced a new governance structure designed for smoother and more equitable decision-making. Another re-arrest is unlikely to impact the manufacturers, but could put Nissan and Renault under closer scrutiny, because of their involvement in the payments.